ECOTA Fair Trade Forum celebrated the World Fair Trade Day 2015 on 9th May, 2015 at Jagaroni Center of CJW located at House No. 1, Holy Cross Road, Tejgaon, Dhaka. There were events of Fair Trade Rally, Fair Trade Talks, presentation of gambhira (a traditional drama with songs on 10 principles of Fair Trade) and a Fair Trade handicraft Fair. The theme of the day was, “Be an agent for change”. The rally and fair trade talks were hosted by the people from all corners: including the producers, consumers, fair-trade supporters, and the young fair-trade volunteers/campaigners in Bangladesh. Fr. Richard William Timm, CSC was the chief guest of the event who has kindly opened the day, participated in the rally, and enriched everyone by explaining the history of fair trade in Bangladesh. The opening address was given by Ms. Bertha Gity Baroi, the honorable Chairperson of ECOTA Fair Trade forum. In this meeting, Mr. U Thein Maung, Treasurer of ECOTA, Mr. Shah Abdus Salam, a member of ECOTA EC Board, Mr. Swapan Kumar Das, Vice Chairperson of ECOTA and Convener of the Fair Trade Day Celebration Committee, Sister Mary Lillian (SMRA), honorable lifetime board member of CORR - The Jute Works and a number of Fair Trade Actors delivered their kind speeches on Fair Trade and showed their kind commitments to carry forward this movement in the future. World Fair Trade Organization ASIA Conference2014” Seoul, Korea"
Seven Fair Trade Organization from Bangladesh Attended the conference, were as Development Wheel , CORR The Jute Works, Thanapara Swallows, Oasis Transformation Ltd, Hathay Bunano Proshikon Society , Bangladesh Hosto Shilpo Ekota Sheba Songshta (BaSE) and ECOTA Fair Trade Forum Nuruzzaman , Program Manager was delighted to attend in WFTO Asia Seoul Conference 2014 followed by the AGM where a bunch of Fair Trade members met together to share their experience with each other. The Annual General Meeting for the year 2013 of ECOTA Fair Trade Ltd. was held at ECOTA Office; house No. 6/4 A, Sir Sayed Ahmed Road, Mohammadpur, Dhaka-1207 on the 1st of February 2014, Saturday at 1.00 pm to 5.00 pm. The Chairperson, Mr. Shah Abdus Salam announced the formal instigation of the meeting. The Chair expressed his earnest thankfulness to the Executive Board and all the respective members for the cooperation in this regard. The Chair announced, out of 37 members, 20 members represented the AGM 2013. Under the FK-Norway Project ECOTA hosted the Partnership Meeting (Mid Term Review Meeting of Phase V) that was being held on January 15-16, 2013 ECOTA Office, 6/4A, Sir Syed Ahmed Road, Mohammadpur, Dhaka-1207. The respected delegates, Mr. Chitra Bahadur KC, President, WFTO Asia Board, Ms. Catherine Wilczek, Program Advisor, FK Regional Office Bangkok, Mr. O. P. Yadav, Director, Fair Trade Forum India, Mr. Ghanshyam Shrestha, Executive Director, Fair Trade Group, Nepal, and Mr. Shah Abdus Salam, Chairperson, ECOTA Fair Trade Forum had joined the Partnership Meeting. The meeting covered Mid-project Review and Reflection. Mr. Chitra Bahadur KC, The President of WFTO Asia Board, showed his kind approval to accept the invitation of ECOTA Fair Trade Forum Bangladesh. ECOTA was auspicious to have the President, WFTO Asia Board from January 15-17, 2013. During visit Bangladesh, the Respected President, Mr. Chitra Bahadur joined the Mid Term Review Meeting, Phase V of “South-South Exchange Programme” Funded by Fredskorpset Norway. He also showed his kind consent to share some moments with the Executive Committee and Member Organization of ECOTA. The President, WFTO Asia Board met with the Executive Committee Members- Mr. Shah Abdus Salam, Chairperson, Ms. Bertha Gity Baroi, Vice Chairperson, Mr. U Thein Maung, Treasure, Ms. Tanu Dey, Ms. Shahnaj Parveen and Mr. Subrata Saha Members and the Representatives of Member Organizations of ECOTA on January 17, 2013 at ECOTA Office. Mr. Shah Abdus Salam, Chairperson, ECOTA facilitated the sharing meeting. ECOTA arranged the Annual General Meeting 2012 that was held on 2nd February of 2013 at ECOTA Office. The Chairperson presided the meeting. All the respective Member Organizations of ECOTA were present on that meeting and contribute their valuable comments and opinions. The meeting on Fair Wage Standardization was held at ECOTA Secretariat at house No. 6/4 A, Sir Sayed Ahmed Road, Mohammadpur, Dhaka-1207 on the 20th April of 2013 at 10.00 am. Ms. Tanu Dey, the Chair of the respective committee announced the formal instigation of the Fair Wage meeting. Ms Dey welcomed to all the participants for joining the meeting. The Executive Committee members Ms. Bertha Gity Baroi, Vice Chair Person, Mr. U Thein Maung, Treasurer, Mr. Monjurul Haque, Member, Mr. Subrata Saha, Member and all the respective delegates of Member Organizations were present. ECOTA Fair Trade Forum as a national networking body of Fair Trade Organizations observed the World Fair Trade Day 2013 through launching a seminar on Saturday, 11 May, 2012 at 12:00pm at St. Joseph School & College, 97 Asad Avenue, Mohammedpur, Dhaka-1207. Theme of the World Fair Trade Day 2013: “Strengthening Fair Trade Relationships”. Mr. Shah Abdus Salam, Chairperson, ‘ECOTA Fair Trade Forum’ announced the formal instigation of the seminar. The Chairperson welcomed to all the respected guests for joining the World Fair Trade Day. The respected Guests-Dr. Harold B. Rodrigues, Principal, St. Joseph School & College, the Executive Committee members of ‘ECOTA Fair Trade Forum’ Ms. Bertha Gity Baroi, Vice Chair Person, Mr. Monjurul Haque, Member, Ms. Tanu Dey, Member, Mr. Subrata Saha, Member, the respective delegates of Member Organizations of ECOTA, the representative of artisans, producers, entrepreneurs group, the students of St. Joseph School & College and the social thinkers and believers were present on the following day. Beginning of the seminar, the Chair requested the entire present guest to express deep solemn for the ‘Savar Tragedy’ and to remain ‘One minute Silence’ for the untimely death of thousands of workers of those garments factory that collapsed on last 24th April of 2013. The entire programme was decorated with: Presenting Documentary Movie on ECOTA Fair Trade Forum Activitiesm Power point presentation on “Fair Trade- Bangladesh & Global Perspective”, Arranging a cultural show by presenting a “Drama” on Ten Standards of Fair Trade Principle, performed by the Women Artisans of “CORR The Jute Works” and Displaying eye-catching, ecstatic Fair Trade crafts of the Member Organisations of ECOTA. World Fair Trade Organization celebrated the Biennial Conference and as well World Fair Trade Week at Rio de Janeiro from May 25-31st 2013. Six Fair Trade Organizations from Bangladesh participated the conference, are as DEW, CORR-The Jute Works, Dhaka Handicrafts Ltd., NRDS, Thanapara Swallows and Oasis Transformation Ltd.
ECOTA Fair Trade Forum has successfully implemented the South-South Exchange Programme project with the support of Fredskorpset- Norway from the year of 2008 through 2013. In accordance, ECOTA completed its Fifth Phase of the project activities. According to the Fifth Phase, ECOTA selected one participant Mr. Mamun Ur Rashid, ‘Pollee Unnyon Prokolpo’ member organizations of ECOTA to participate the exchange programme. The respective participant received training on ‘Retail Outlet Coordination’ from ‘Fair Trade Forum-India’ Delhi. ECOTA organized a workshop that held on 13th of July 2013, Saturday, 9.00 am at ECOTA secretariat, 6/4 A (Ground Floor), Sir Syed Ahmed Road Mohammadpur, Dhaka-1207. The FK participant Mamun Ur Rashid presented his working paper and shared gathered knowledge on ‘Retail Outlet Coordination’ that received from Fair Trade Forum India-Delhi. ECOTA member organization attended the workhop. GIZ Fair 2013- WORLD FAIR TRADE ORGANIZATION ASIA in cooperation with country networks of Fair Trade Organizations in Bangladesh, India, Indonesia, and Nepal and members in China, Pakistan, Thailand and Vietnam recommends the participation of the following high-profile Asian Fair Trade producers in the FAIR 2013 being organized by Gesellschaft für Internationale Zusammenarbeit (GIZ), state office NRW, in behalf of the government of the German State of North Rhine-Westphalia (NRW) This cooperation aims to provide opportunities to high-profile Asian Fair Trade enterprises to access the German market and foster long term trade partnerships with companies from the Fair Trade sector in Germany as well as in the Netherlands. The trade fair will take place in Dortmund, Germany from 6-8 September 2013 and study tour from 30 August to 5 September 2013. From Bangladesh three Member Organizations of ECOTA has been finally selected by GIZ Jury Board to join the GIZ Fair 2013- 1. CORR-The Jute Works 2. Development Wheel & 3. TARANGO. ECOTA celebrated The World Fair Trade Day 2012. ECOTA organized a seminar with the students of YWCA School & College in their premise on May 13, 2012 at Dhaka. “I want Fair World; I Support Fair Trade” was the theme of this Celebration Day. The FK Norway South-South exchange programme (2011-12) participants had completed their training program and both the participants of Hosting and Sending partners returned to their home countries to perform what they had learnt. Under the Fredskorpset-Norway Project, ECOTA arranged a Home Coming Seminar on July 7, 2012 at ECOTA Office. The aim of the seminar was to disseminate and share the gained experiences and knowledge that the participants of ECOTA gathered from Fair Trade Group Nepal, Fair Trade Forum-India on ‘Retail Outlet Coordination’ & ‘Handmade Paper Technology’. The selected participants were ECOTA member organization of Prokritee and SEDS. For the fifth phase of the project period of 2012-13, ECOTA selected one participant, Mamun Ur Rashid of Polli Unnayn Prokolpo to receive training on ‘Retail Outlet Coordination from Fair Trade Forum India, Delhi. ECOTA carried out a workshop on “Strategic Planning” with the objective to review existing and prepare a strategic direction of ECOTA and prepare a long-term plan accordingly. The workshop was held on July 14, 2012 at ECOTA office. All the interested ECOTA family members were present on that workshop and put their invaluable opinions. Under the FK-Norway Project, the existing FK- participants Mr. Sajjad Islam, Ms Farida Khatun and the new participant Mr. Mamun Ur Rashid participated the Debriefing and Leadership Training that was held on S.D Avenue Hotel, Bangkok, from 29th of July through 12th of August 2012. According to the 2012 Outstanding Fair Trade Organization craft category, “CORR-The Jute Works” from Bangladesh achieved “REWARD ASIA” for making Fair Trade work better for the small scale artisans. The Executive Committee of ECOTA decided to publish Quarterly E-Newsletter of ECOTA Fair Trade Forum. Mr. Shah Abdus Salam, Chairperson, Ms. Bertha Gity Baroi, Vice Chairperson, Mr. U Thein Maung, Treasurer and Ms. Tanu Dey Member form the Editorial Board. The e-Newsletter is being published and circulated to all the concerns. Additionally, ECOTA also took initiatives and developed new website named www.eftfbd.org . ECOTA took initiative to build up capacity on “Project Development & Management” and Fair Trade related issues for its staff. In this regard ECOTA staff received on the said course which was organized by Bdjobs Training Center. ECOTA with the member organization arranged a Workshop on Living Wages Determination on November 15, 2012 at ECOTA office. Ms. Inge Opten Berg, an expert from Netherlands had shared the knowledge on "Living Wages" with the participants. The Executive Committee of ECOTA took initiative on determining the Fair Wage Policy and formed a Sub-Committee. Ms Tanu Dey is the Chair and Mr. U Thein Maung, Mr. Monjurul Haque, & Ms. Shahnaz Parveen are the Members of the respective Sub-Committee. The Sub-Committee would act for necessary duties and responsibilities concerning the respective issue. ECOTA hosted and organized the Biennial Conference of WFTO Asia 2010 at BRAC-BCDM from 24-26 of September 2010. ECOTA celebrated the World Fair Trade Day 2011 that was held at the Reporters Unity Auditorium Dhaka. The Theme of the World Fair Trade day 2011 was “TRADE FOR PEOPLE – Fair Trade your world”. ECOTA under the FK Norway South-South exchange program (2011-12) hosted two participants from Fair Trade Group Nepal who received training on Dye and Print Technology. ECOTA also and send three participants of its member organizations (DEW, SEDS, Prokritee) to Nepal and India to receive training on Retail Outlet Coordination and Handmade Paper Technology. ECOTA arranged the Annual General Meeting 2011 that was held on 29th of October 2011. This year the Election has formed and the General Body of ECOTA elected the Present Executive Committee Members for the year 2011-13. Ms. Ramona Ramos the Director of the World Fair Trade Organization Asia (Former Asia Fair Trade Forum) visited Bangladesh. While visiting Bangladesh, Ms. Ramos met the Governing Board of ECOTA in a Special Meeting on 07 February 2009 at ECOTA Secretariat Office, Dhaka. She stated that being an old acquainted with ECOTA, it is the best time to be here and as working in a regional level WFTO Asia is obliged to be helpful to each other, and have that broad scope as we can understand each others situation easily. She also visited some member organizations and their production site. She presented the scope of SMFTF in fair trade arena and discussed on the upcoming NEPAL conference. ECOTA arranged a Producer Mapping study for Asia Fair Trade Forum (now WFTO Asia) team from Philippines in February 2009. The study team interviewed different level of stakeholders of Fair Trade Market chain including producer, Managerial persons. ECOTA assisted the mapping in communication, travel and transliteration with the interviewee in members working in Dhaka, Madaripur, Satkhira and in Jessore. World Fair Trade Organization-Asia and World Fair Trade Organization- Bangladesh, known as ECOTA- National Fair Trade Network of Bangladesh has arranged a 04 days long Program for Continuous Improvement Training a Resource Person Development program for the individuals who will work as the Certified PCI monitor Consultants for the relevant Social Entrepreneurs Nationally and Internationally. The training was held from 16- 19 February 2009 at the ECOTA Secretariat. Mr. S. Ram Bhat facilitated the training sessions. There were twelve Participants who were recognized with certificates after the training completion. ECOTA renewed its legal entity from “Registrar Joint Stock Companies and Firms” which was effective from February 2009. ECOTA- National Fair Trade Network of Bangladesh celebrated the World Fair Trade Day 2009 along with over eighty countries with a Round Table Discussion- Fair Trade: Change the World at IDB Bhaban, Dhaka, on 09 May, 2009. ECOTA members joined the World Fair Trade Organization (Former IFAT) Global conference, Nepal, 16-23 May 2009. ECOTA participated the Conference and contributed their comments, suggestions, and opinions to make it effective in the country perspective. With the financial support of FK-Norway and coordination of Fair Trade Group Nepal, ECOTA started implementing the Fredkorpset Norway South-South Exchange Programme 2009 “Establishing and Enhancing a Sustainable South-South Fair Trade Partnership” project. The project involves exchange of participants between Fair Trade Group Nepal, Fair Trade Forum-India and ECOTA Fair Trade Limited to transfer knowledge and skill on Crafts Process and techniques and Crafts Marketing and Promotion. Under Phase III (2010-11) ECOTA send three participants of its member organization (DEW, TSDS, NRDS) to Fair Trade Group Nepal to receive training on Handmade Paper Technology and SFTMS Intern. On the other hand, ECOTA hosted two participants from Fair Trade Group Nepal and trained them on Dye and Print Technology. To make the Fair trade networking platform sustainable ECOTA Trade Model Planning was prepared. It was decided that ECOTA can go for Income Generating activities for its sustainability. The primary focus for these initiatives will be on Fair Trade Tourism and Handicraft display centre. A business plan on Fair Trade Tourism was developed and Presented before Executive Board on May 2009 Board meeting. ECOTA prepared the Project implementation Plan for NRDS. The plan was prepared During June 2009. ECOTA conducted Baseline Study for NRDS from May to July 2009 and was completed and presented in a sharing meeting held in ECOTA office, 25 June 2009. This baseline of the small craft production in the greater Noakhali region was launched to accommodate the necessary information to provide a solid background to the Small Crafts Producers Development Project with DANIDA to be implemented by NRDS. The study has focused the facts essential for the small craft producers’ better presence in the market which could consequently make their socio-economic life better. The study has found the basic lacks in the area of capacity both in the producer and entrepreneurs end and poor market penetration with compatible products and offer before the consumer along with advocacy in the relevant level. ECOTA Secretariat completed the Project Completion report and was accepted by the European Commission (April 2008). ECOTA was honored to get invitation from European Commission to display its handicraft products on the European Day 9th May 2008 that was held in at Bashundhara Convention Centre. ECOTA with the support of Designer Forum arranged a stall, collected product from member organizations, displayed the handicraft products for selling. ECOTA arranged a workshop on World Fair Trade Day 2008 in 10th May 2008 at CIRDAP. The theme of WFTD was- fair trade and eco-friendly earth. ECOTA also published a booklet. ECOTA participated the 16th World Congress On Information Technology (WCIT 2008) that was held in Kuala Lumpur, Malaysia from 19- 22 May 2008. The same time ECOTA also had meeting with Global Knowledge Partnership (GKP). ECOTA participated the Stockholm Challenge Awarded at Sweden from 17- 24 May 2008. ECOTA arranged a Marketing Planning Work Shop with Asia Fair Trade Forum (now WFTO Asia) at CORR the Jute Works Training Centre, Gulshan from 2-5 July 2008. More than twenty member organizations of ECOTA- National Fair Trade Network of Bangladesh participated in the workshop. The participant was from the managerial level personnel. ECOTA completed the study on the Existing Regulation of the Handicraft Sector in Bangladesh. Dr. Ahmed Kamal & Mr. Akhter Hossen were the Consultants of this study. The study was presented in the final workshop. ECOTA prepared the Support to develop Fair Trade entrepreneurs with EU Project Completion Report which was accepted by EU. ECOTA Prepared the Strategic Plan of for the year 2008-2010 and presented before the member organizations. It was further revised and complimented by a Committee consist of three member organizations. The committee members were Ms. Patricia Kerr, Shishu Polli Plus, Mr. Monjurul Haque, Artisan Hut & Mr. Faridul Hasan Khan, BRAC Aarong. The Committee met 27 February, 27 March & 28 April 2009 and put their input through the meetings and the strategic Plan was drafted finally. IFAT (now World fair Trade Organisation) conducted a Study on Sustainable Fair Trade Management System (SFTMS) with the members on their production sites in October 15-22 2008. ECOTA National Fair Trade Network of Bangladesh arranged the conduction by setting the field operation and consultation sessions. Ms. Christen Gent from WFTO conducted the study. The Consultant visited the producers in Narshingdi, Jhinaidoho. ECOTA publication was formatted in Soft Digital Version in December 2008. All the ECOTA publication was converted in to accessible portable document format. ECOTA visited the member organization Artisan Hut factory at 1st January in Narayangonj along with Designers Forum members and a journalist. The forum members also met with the chairperson of EFTF Mr. Abdul Awal and Mr. Sukumar Pal, Designer of TARANGO. By this time the forum members also met with Mr. Probir Das, Director of Gram Vati (a NGO working with ethnic people). The weekly meetings of the forum are going as well. ECOTA participated a five days Web Development and Management Training from 16-21 January 2006 arranged by GTZ with ISL. The ECOTA officers Mr. Arshad Siddiqui, Â Md. Hasan Shahriar, and Ms. Nazlee Jamal participated the training and completed the course successfully along with the other organization representatives. ECOTA with the collaboration of Export Promotion Bureau EPB arranged a Seminar discussing on Fair Trade in Bangladesh: Development By the People on 23 February 2006 at EPB board room. Mr. Arshad Siddiqui, Director of ECOTA Fair Trade Forum presented the key note paper while Mr. Faridul Hasan, Director of EPB presided over the event in the EPB board room. Participants attended from various GO-NGO, SMEs. ECOTA participated the Jibika Mela (Char Livelihood Fair) which was organized by the ECOTA member “Development Wheel-DEW” from 24-25 February in Char Nolshunda of Jamalpur district. The theme of the fair was the Life and Living of Char Dwellers and that intended to extend an opportunity to link char producers with other chars and mainstream life and living. The then State Minister of Finance and Planning, Major General (retd.) Mr. Anwarul Kabir Talukder inaugurated the fair. Mr. Nick Taylor, First Secretary of the Delegation of the European Commission to Bangladesh, DGM of Pran Group Mr. Tobarak Hossain, Director of Comunicca Mr. Anish Barua, Government officers, Development Partners, SMEs and Representatives of Media were also present at the fair. A Coalition meeting with Mr. Silvio Marconi, Country Representative of Terre des Hommes Italia at took place on 7th March 2006. The meeting focused on to find out the common field of interest for both organizations. Both the parties agreed to approach collaborative work and to determine the possible issues of work in future road march. Mr. Arshad Siddiqui, Md. Hasan Shahriar and Ms. Nazlee Jamal participated in the meeting. The EC meeting of ECOTA held on 12 March 2006 at ECOTA meeting room. The committee members discussed on present issues and approved the last minutes in the meeting. Under the Business Development Service ECOTA from 16-17 and 25-26 March arranged a supportive program for Polle Unnoyon Prokolpo (PUP), Bogra to prepare business proposal, annual report 2005, slide presentation for participating a fashion show in Brussels and two case study reports. ECOTA observed the 5th World Fair Trade Day 2006. ECOTA attended in the meeting arranged by EPB (Export Promotion Bureau) on Riyadh Single Country Fair held at 25-28 May. ECOTA disseminated the information to its member organizations with detail about the fair. ECOTA as a Consultancy Activist completed a Study on Fair Trade Producer Groups of Bangladesh for People Tree Japan. ECOTA launched its new website on test basis- www.ecotaftf.org/test. Another initiative has taken to develop the website with the financial assistance of GTZ. Ms. Nele Schmidt Teuteberg, Product Development Manager of Oxfam Australia Trading Pvt. Ltd. visited ECOTA secretariat and met with the staffs & Designers Forum members. She had a special meeting with EFTF member organization and made a presentation on Oxfam trading activities in this region. ‘We are interested to make a long term relationship with Bangladeshi producers’- she said with hope. She visited eight EFTF member organizations of ECOTA. As the part of Business Development Service ECOTA supported to SOVA for preparing organizational Brochure. Library Management Training from 16th -18th April. Training on Business Correspondent dated 27th May and 03rd June. ECOTA arranged a Seminar on Research Presentation “Crafts Sector in Bangladesh: Promises and Challenges” on 28th February, Monday 2005 at Press Club Conference Lounge which was successfully done. The seminar presided by Dr. Ahmed Kamal and the speakers were Mr. Mustafa Mohiuddin, Director General EPB; Mr. Michel B. Gomes, Chairperson Asia Fair Trade Forum AFTF (now WFTO Asia), Mr. Arshad Siddiqui, Director ECOTA Fair Trade Forum. Dr. Syed Tarique-Uz-Zaman presented the keynote paper. Mr. Abdul Awal, Chairperson ECOTA Fair Trade Forum moderated the session. The representatives from GO, NGO and journalist of various news agencies contributed their opinion. ECOTA prepared a Best Practice Document of the year 2004. All of the member organization can share their knowledge and experience with each other through this document. ECOTA observed the Global Week of Action 10-16 April 2005 in Bangladesh (Dhaka, Chittagong, Rajshahi, Satkhira) along with ECOTA’s members and artisans to raise the voice against global unfair trading system. ECOTA also published leaflet, poster, and booklet and distributed. A DABINAMA was published, which include the expectation of Bangladeshi artisan and sent it to our Peoples Representatives (MPs). ECOTA also organized a colorful rally, press briefings and candle light procession in Dhaka. Respectively, Rishilpi Development Project at Satkhira district, Thanapara Swallows Development Society at Rajshahi and Young Power Social Action YPSA at Chittagong observed events on the occasion. ECOTA organized a weeklong workshop from 19-26 April 2005 in cooperation of DTC on Basic Handicraft Design to create a new product inspiration from other product. The resources persons were Mr. Chandra Shaker Shah, Mr. Sabih-Ul-Alam, Mr.A.M. Saadullah, Mr.Sohail Askar. ECOTA published Karushilpee a quarterly newsletter covering news on current issues, market information and opportunities, members'-Buyer's-Fair's-Conferences information, Contemporary articles, declaration and many more. EFTF observed World Fair Trade Day 14th May 2005 at central public library seminar hall. In the mean time, ECOTA published “Crafts Sector in Bangladesh: Promises & Challenges” and released the book on this occasion. The Guest of Honour was Mr. Mostofa Mohiuddin Director General of EPB. The seminar was chaired by Ms. Bertha Gity Baroi, EC member of EFTF and moderated by Mr. Arshad Sidiqui, Director of EFTF. The key Discussant was Mr. Salaimullah Khan. ECOTA published two articles on Fair Trade in daily newspaper the ‘Jugantor’ and ‘Sangbad’. ECOTA and GTZ signed an Agreement for implementing Enterprise Information Services (EIS) project. Primarily, the project starts from June 2005 and ends at December 2007. The project is initiated that aiming to face the post MFA era in developing countries. Primarily, the project has started from June 2005 and ends at December 2007. Objective of the component is “Increased Use and Improved Supply of Demand-Led Enterprise Information”. Under the project ECOTA representatives received training on Information Management, Basic Microsoft Office and Report Writing Training. ECOTA met the International Personnel from renowned organizations such as- Mr. Abul Azam, UK; Mr. Shahed Ferdous, Country Representative of Traidcraft Exchange (TX); Ms. Helen, Traidcraft Exchange TX; Cottrel, New Zealand; Ms. Barkatt, Asia representative; Mr. Abid A. Mallick, Senior Manager of Aga Khan Foundation; IFAT Business Consultant; Mr. Jonathon, Ethical Trade Forum, Judith Condor Vidal from Oxford Fair Trade Coalition. Annual General Meeting 2004 was held on 27th April. ECOTA participated the IFAT Bi-annual Conference 2004, 1-7 May 2004, held in Quito, Equador. The ECOTA Representative was the three member organizations namely Mr. Abdul Awal, Chief Coordinator of NRDS; Mr.Shah Abdus Salam, Executive Director of Development Wheel (DEW) and Mr. A. B. M. Ruhul Quddus Shahnewaj, Coordinator of Jahanara Cottage Industries JCI. ECOTA observed World Fair Trade Day 2004 from May 07-08, 2004. ‘SMALL CHANGE BIG DIFFERENCE’ was the main theme of this year. EFTF arranged a rally, press conference, a daylong product display were being arranged on this occasion. ECOTA arranged a Focus Group Discussion on Social Order with its four members on June 14 in its Auditorium. The participants were Dhaka Handicraft, YWCA Craft Centre, CORR the Jute Works and MCC. ECOTA organized a one week Workshop on Surface Design and Product Development titled “Working with Hand Print” from 26 to 31 July 2004 at Center for Design & Technology Ltd. (DTC) auditorium, Banani, Dhaka. Eight organizations participated that workshop. The workshop introduced Geometry of Arrangement in product design development. During 25 August to 11 September, Mr. Arshad Siddiqui, Director of ECOTA visited Germany aiming to Study Craft Sector of Germany. This tour was initiated by GTZ PROGRESS-3 for individual training benefits as well as organizations design support. ECOTA organized a Seminar Fair Trade in Bangladesh : Challenges and Prospects on September 17, 2004 at the meeting room no. 01 of IDB Bhaban. In the seminar, Mr. Mahfuz Ullah, Secretary General of CFSD; Mr. Michel B. Gomes, Chairperson of Asia Fair Trade Forum; Prof. M. M. Akash, Economics Department, Dhaka University and Prof. Anu Muhammad , Economics Department, Jahangirnagar University were presented as guest of honor. Mr. Abdul Awal , Chairperson of ECOTA Fair Trade Forum moderated the program and Mr. Arshad Siddiqui , Director of ECOTA Fair Trade Forum presented the keynote. All the personnel from government offices, NGOs, private sectors SMEs, Civil society members and media took participation in open discussion. ECOTA participated the WSIS Round Table Consultation on 10 September organized by BFES at BRAC Center. As a representative of ECOTA, Mr. Md. Hasan Shahriar Program Officer attended the seminar. The discussion was on upcoming WSIS second phase event which was be held in Tunis form 16 to 18 November. ECOTA, Networking and Coordination officer Ms. Nazlee Zamal participated the GMO workshop at Mymensingh from 10 to 11 September which organized by VOICE. ECOTA Fair Trade Forum obtained Company Registration under “Registrar Joint Stock Companies and Firms” as ECOTA Fair Trade Limited which was effective from 20th September, 2004. ECOTA organized Product Development Workshop from October 23-24, 2004 at WVA Auditorium to focus household textile accessories. This workshop helped the participants to identify areas for them to develop new products that meet these trends for the future market promotion. ECOTA arranged a Media Conference with the journalist of reputed national dailies at 29th December 2004 in ECOTA Forum office. The purpose of the meeting was to introduce craft sector with different Journalist. The discussion focused on different issues of Fair Trade. Targeting to Establish an Artist Pool, ECOTA arranged a meeting with the artists of Art Institute, Under the Dhaka University at 29th December 2004 at ECOTA Forum office. ECOTA decided to establish a full fledge artist pool for the artisan groups of ECOTA’s member organizations to get the opportunity to share their knowledge and experience between intuitional artist and traditional artist with their indigenous knowledge. In this regard ECOTA formed a Designers Forum in 2004. The forum members regularly sit together, make discussion and made an exposure visit with producer groups of Dhaka Handicrafts at Savar in the 26th Sep, Monday, 2005 for better understanding the real experience on product designing. It has been perceived that there were some potential organizations among ECOTA members who are the exemplary of best practitioners in Fair Trade but did not get the chance to come to light. In this regard, ECOTA took initiative to prepare Best Practice Documentation. This documentation was such kind of document from where all of the member organization can share their knowledge and experience with each other. A comprehensive document will be prepared including all of ECOTA members in future. ECOTA published the Annual Report of the year 2004 that placed in the Special General Meeting SGM and distributed to EFTF stakeholders. ECOTA published a new Brochure highlight organizational image. ECOTA produced a Media Coverage Report during January to December consisted event wise media coverage that focused on ECOTA's recent activities, fair trade issues and future plan for the improvement of Handicraft Sector in Bangladesh. ECOTA through Technical Support Services developed and upgraded ECOTA’s website www.ecotaftf.org, developed HEED Handicrafts’s website www.heedhandicrafts.com provided hardware and troubleshooting solutions to ECOTA and the members throughout the project. ECOTA observed the World Fair Trade Day 2003 on May 16 & 17, 2003 through arranging Seminar on “Towards Fair Trade: An Exploration of Handicrafts Sector”, Award giving ceremony for the Best Artisans, Product Display, Artisan at Work. The whole program was done through Press briefing, media coverage etc. To Strengthening Fair and Ethical Trade Issues & Self-Monitoring among the Practitioners, the ECOTA advocacy desk was responsible for revisiting the IFAT (International Fair Trade Association) Fair Trade Standards in order to analyze and prepare the indicators against each standard regarding the Bangladesh context. Organized a Workshop on Campaigning for Corporate Social Responsibility jointly with Traidcraft. The ECOTA members, the personnel from GOB, Garments, and International Development Agencies participated the workshop. Arranged a Seminar on Campaign for the significance & benefits of fair & ethical trade practices. Under the banner of Member Support Services, ECOTA- Visited the members' working areas, developed Product Gallery for ECOTA website, contacted with Buyers and donors, provided Market Information System through CDs and emails which covered ‘Market information: European Fair Trade Market Overview 2003’, ‘Market Profile: UK Home Accessories 2003/2004’ and ‘Fair Traders & Product Profile: UK Home Accessories 2003/2004’. ECOTA introduced a newsletter named Karushilpee. This year ECOTA extended its Services extended to Local and international Organisations working towards establishment of CSR (Corporate Social Responsibility). This activity could earn revenue for ECOTA core fund. ECOTA organized Workshop on ‘Global E-commerce for Bangladesh’ with PEOPLink from 15 -16th October, 2003. A number of twenty one participants from fifteen organizations participated the workshop and learnt about e-commerce, digital imaging, internet, marketing aspect of the products, and developing catalogues by using CATGEN, software developed by PEOPLink. ECOTA organized a Workshop on Board Building for the member organizations with the objective to strengthen the organizations. Ms Josephine Oguta, Board Consultant, conducted the workshop. ECOTA organized a daylong workshop on “How to Succeed in International Trade Fair Participation”, held at IDB Bhaban on January 30, 2002. The aim of the workshop was to help the NGOs and SMEs from the handicrafts sector to understand the key issues that will enable them to make their participation in international trade fairs more effective. As part of the local trade promotional activities, ECOTA organized a local trade fair “ECOTA Trade Fair 2002” at Shishu Academy Ground from April 9 – 15, 2002. The fair was a very successful event and a number of thirty-eight SMEs and NGOs participated the trade fair. Around 35,000 people visited the trade fair and the participants enjoyed the total sales of Tk. 20, 00,000 within a week. A day long Workshop on Financing Fair Trade was organized jointly by ECOTA and SISL (a co-operative lending society, based in Newcastle, UK). The workshop held on April 23, 2002 at the BRAC Centre. The purpose of the workshop was to understand- i) whether the initiative of SISL (or alternative scenarios) is suitable for implementation in Bangladesh and ii) Are the producers in Bangladesh are committed to work with SISL. To observe World Fair Trade day 2002, ECOTA organized a national press conference on May 04, 2002 at the Dhaka Reporter’s Unity auditorium. On the occasion, ECOTA shared and disseminated the information on Fair Trade, Fair Trade Standards, share the experiences of the producers of fair traders to know about the producers’ life and their perception of Fair Trade and to aware everybody about the significance of Fair Trade. Workshop on Fair Trade & Gender Issues was organized to promote fair trade and create consciousness regarding gender issue on August 11, 2002 at Women Voluntary Association auditorium. The key objectives of the workshop was to help to visualize and understand the Fair Trade principles, promotion Fair Trade standards in businesses and understand the meaning of gender and other relevant issues. ECOTA organized a Workshop on sharing of “knowledge gained during the visit to Manila” for all the members. ECOTA participated IFAT (at present WFTO) Regional Conference at Jakarta, Indonesia along with nine other Bangladeshi Fair Trading organizations, to setting the indicators of self-assessment of the Fair Trading Organisations. Besides, ECOTA and the participating members received a lot of updated information on Fair Trade, campaigning, advocacy. ECOTA arranged partial financial support from Oxfam for all the participants. ECOTA organized a Buyer-Seller Meeting in December while Mr. David Cambioli was visiting Bangladesh flying from Italy. At different times, EFTF received a number of visitors from abroad who are active in promoting Fair Trade. The organisations are : Fair Trade Group, Nepal, Paul Mayer, Ten Thousannd Village, USA, Ockenden International, Pakistan; Helen McCree Traidcraft, UK; Nick Nighty, Traidcraft, UK; John Hinton, Traidcraft UK; Mr Martin, UK; Ms Christine Gent, Traidcraft, UK; Mr Colin Crawford, SISL. ECOTA has developed its own Website (www.ecota.net), 2002. The overall objective of Networking and Coordination is to bring solidarity among the organizations involved in Fair Trade movement at the national, regional and international level. It gives members, partners, GOB, trade promotion bodies, NGOs and donor agencies, exposure to each other’s activities. In 2001, ECOTA was able to seize the attention of the Media people throughout the year. Almost all the most popular dailies, both Bengali & English had the coverage on ECOTA’s activities. ECOTA did hold press conference to share the various issues related to fair trade, the growth of export, its own strategies and actions for the development of the craft industry of the country and the role of government to facilitate the SMEs involved in this sector. ECOTA participated Ambient International Fair Feb 14-23, 2001 in Germany. The aim was to build up ECOTA Staffs and its members-partners more efficient on export market for handicrafts and build up rapport with international buyers. ECOTA arranged a program to generate Debate & Dialogue among the stakeholders to focus on the status of Producers. ECOTA arranged a workshop on focusing Major Product line e.g. producers involved in bamboo, cane & grass product. ECOTA hired a European Design Consultant, Ms. Victoria Zeffert to work with its members, partners to Develop New Product for European Market. The participants were now able to create innovative products and export those products to European Market. Followed by the above-mentioned design training, a technical design input, ECOTA arranged Design Input Training with the technical support from Jackie Corrlett and the local Designer from BIFT. Eight member-partner organizations of ECOTA received the design input service. The major aim of the design input was to carry out a follow-up of the design training as well as to assist the participating organisations to develop at least four ranges of new products. ECOTA facilitated its members-partners to promote their products in international market. As a part of ECOTA’s trade facilitation program, Mr. Bimal Banik, Director of Swajan Bangladesh- a partner organization of ECOTA Forum, got the opportunity to join the Market Awareness Tour Programme, which held from April 25 to May 5, 2001 in England. ECOTA fair Trade Forum won the DTI Award for Capacity Building in the Commonwealth in the 2001 Worldwide Business Awards. ECOTA wrote Research Proposal on Needs analysis of Fair Trade Terracotta Producers in Bangladesh July 30 2001. A weeklong Design Training titled “Creativity & Design” 09-13 September was organized to identify the participants’ own potential in searching ideas and effectively replicate it for new product development and contribute to the success of the businesses in terms of craft sales. ECOTA participated a seminar on “Into the Market” from 16th to 22nd September 2001 in the Netherlands. The main objectives of the seminar was to perceive an intensive view about the mainstream market issues and net working with the other organisations involved in seminar works. ECOTA organized a workshop on CatGen (Catalogue Generator) as part of its ongoing LAGMI project, funded by PEOPLink –USA. Web Catalogue Development was one of the main objectives of this workshop. A total number of thirty-three representative participants from ECOTA member & Non-member NGOs and SMEs had joined that workshop. PEOPLink-USA, a partner of ECOTA developed an extraordinary Web Catalogue software called CatGen (Catalogue Generator). ECOTA conducted a Study on producer livelihood vs. family & social violence. The then International Federation for Alternative Trade (IFAT) with the collaboration of Export Promotion Bureau (EPB), Government of Bangladesh jointly organized The Asia Regional Fair Trade Exhibition – January 18 -22, 2000. ECOTA started Marketing Activities from beginning January 2000. ECOTA was publishing Quarterly Newsletter regularly. Traidcraft Exchange, an UK based NGO participated the Birmingham Spring fair' February 6 – 10, 2000. Traidcraft exhibited its partner’s products. Moreover, in this continuation, the successful product development program that was held in 1999 helped ECOTA to take the opportunity to promote its products, which made up almost 50% of the range on the stand. The Participants got the opportunity contacting wholesalers and large retailers, who are interested in importing directly from the producers. A Follow up of the Quality Assurance Workshop was held from March 29-30, 2000. The main purpose of the follow up was to understand any improvements or barriers, to implement the action prepared by the previous workshop, to share new tips for further improvements and understand the relationship between quality and profitability. With the support of Bangladesh Export Market Assistance Programme (BEMAP) Project, ECOTA identified the lacking of quality management among craft producers in Bangladesh as a considerable barrier to entering the mainstream market. For this purpose, ECOTA focused on Market Research and arranged Dhaka Quality Assurance Workshop on March 2000. ECOTA organized Product Development Workshops in May (8-9, 2000) focusing on Christmas products and textile household accessories. For two reasons, the theme of Christmas products is being chosen. Firstly, research undertaken in Europe identified market opportunities for these products and secondly it allowed a wide range of members/partners to participate and all the materials were available. This activity was a wonderful example of a coordination approach to product development that involved MIS, capacity building and trade facilitation/marketing at ECOTA, its project partners and Traidcraft Exchange. The other important aspect of this service was the development of an excel software based costing worksheet which enabled the participants to calculate proper costing more easily. ECOTA organized Design Input Service from May 10-18, 2000. The design input service focused on Christmas Products development. The main emphasis was given this year was in Christmas products which would be exhibited in the Spring Fair Birmingham 2001. Ms Bo Hotston, design consultant from UK, facilitated the two-day product development workshop, and later on worked with ten member/partners organizations of ECOTA. ECOTA organized a MIS Workshop in May 2000 and later on established MIS library enriching with a good number of design books, catalogues etc. A two-day Product Costing & Pricing workshop from 12-13 July 2000 was organized to give a clearer idea about the cost incurred in production, know the importance of conducting proper costing analysis and based on these analyses, set proper pricing of product. However, this was a foundation course for most of the participants, they were able to learn the process of costing and pricing of the products, they are manufacturing/ selling. On the other hand, to be a proficient in this area, the producers need to practice rigorously. ECOTA took part in the Tendence fair at Frankfurt, Germany in August 2000. ECOTA and its members and partners organizations exhibited approx. 120 product samples. One of the participants got the opportunity to get exposure in international trade fair exhibition. In 2000, ECOTA arranged a National Seminar on Fair Trade in Bangladesh The objectives of the seminar was to promote fair trade concept in our country, aware the mass people about Fair Trade, campaign for ethical trade and inform the civil society, journalist and media persons about best practices of Fair Trade. ECOTA organized a refresh workshop on Quality Management Support to assess the overall performance of the participants. A positive reflection helped to cascade innovations to take many initiatives. A daylong Producer Workshop on Terracotta & Jute products was held at Women Voluntary Association Auditorium on October 30’ 2000 for the craft persons of ECOTA member-partner organizations. Eighteen grass-root-level producers were present in the workshop to share their problems and probable solutions. A workshop on International Design Input for Textile was held on Oct 21-November 7, 2000. Member-partner organisations were given new product development support through Design Input. The major focus of the input was on household textile and fashion accessories. ECOTA organized a seminar on Fair Trade in Bangladesh on November 2000 at CIRDAP auditorium to promote and discuss about the Fair Trade principles with the local Government Officials. ECOTA Fair Trade Fair, 2000 was organized from Nov 21-25’ 2000 at Shishu Academy Ground. A number of twenty-five member-partner organisation of EFTF took part in that fair. ECOTA enjoyed a total sale of Tk. 843,388.00. Approximate 10,876 people visited the fair. ECOTA conducted New Product Development Consultancy, 2000. This year ECOTA organized four Export Market Awareness training program for the selected four participants from its own four staffs and one from partner organizations to attend the training in the UK, Germany and the Netherlands. The main objective of such awareness building/raising program was to provide first hand exposure of the market where they have been operating or trying to operate. Specifically, about the lifestyle, standard of product quality & display, packaging & labeling, pricing & its competitiveness, importance of product range, market segment where they operate, type of customer they target etc. ECOTA emphasized not only on Christmas product development but also on Product Design input. In this regard, ECOTA facilitated a workshop by a local consultant. On an average twelve Sketches or designs have been developed for each participant organizations and in total ten organizations got the design-input support from ECOTA. ECOTA initiated a program called Producer Exchange Visit in which producers of different member-partner organizations get the opportunity to visit one another’s project at regional and national level and exchange ideas and experience with each other. The main objective of this program was to give exposure to the grass root level producers/craft persons on the different ways other producers work as well as to strengthen relationship among ECOTA member-partner organization, e.g. NGOs and private businesses. In 2000, ECOTA got significant amount of coverage in the print, press and tele media, such as The Observer, The Daily Star, The Independent, Bhorer Kagoz, Azker Kagoz, Ittefaque, Prothom Alo, Janakanthay, Jugantar, Inqilab, Matribhumi and The Financial Express etc. In total fifteen newspapers published the coverage on ECOTA events. In addition, public and private TV channels like ETV, Channel i, ATN, BTV etc. have also covered ECOTA’s some specific activities such as fair, seminar etc. ECOTA published a booklet on fair trade, titled as `Fair Trade: Definition and perspective’ in English and Bangla version. This booklet would be able to gather more interest to a wider community. This booklet was distributed in national seminar and Fair Trade Fair inauguration program. ECOTA with the financial support of Oxfam GB launched A two-year project titled Craft and Producer Improvement Project (CAPI). The aim of this project was to improve the condition of the grass-root level producers through lobbying and advocacy with various GOs, NGOs, and other organizations, and to carry out research/study on a number of craft and producer related issues. Under Capacity Building Program, a Program Manager and a Marketing Manager visited various organizations for business counseling, need analysis, and got first hand information. ECOTA implemented a series of activities under the Linking Artisans to Global Markets via Internet (LAGMI) Project in the respective project area. ECOTA organized a Workshop on MIS at beginning of this following year with aim to help participants understand the role market information plays in successful product development and other elements of export market and to introduce ECOTA MIS Library that will collect & disseminate current market information for its members and partners. ECOTA introduced MIS Library. It is a library of pictorial reference materials that will give visual information about current trend in relevant product areas of the global markets and also other related information for International Marketing of Bangladeshi Handicrafts. ECOTA conducted Workshops on Product development through practical approach providing both training and design inputs. The Workshop focused on developing the members/partners understanding of product development and the latest trend predictions for export market. ECOTA arranged a Design Input Service for the target group of members/partners. According to the strategic of ECOTA, the focus was on the textile sector, garden ware & storage items. The focus of one was on general handicrafts and the other targeting the International trade Fair “Tendence 99". In May 1999, ECOTA conducted Design Input Training. ECOTA prepared Market Research Report focusing on design of ranges of bed lines, and coordinated accessories as identified in Market Research report. Furthermore, ECOTA organized third Design Input service from October 27-November 06 1999. ECOTA organized National Conference & Workshop on 24th of June 1999 an aim to promote various services on handicrafts and textile export opportunities among members/partners by strengthening relationship with them and it really paid well. A follow up of "Packing for Export", May 30-Jun 02 & Jun 07 1999, workshop was carried out with assistance of Fair Trade Assistance, the Netherlands. The workshop focused the various aspects of hand woven textile products targeting the grass-root-level producers. ECOTA conducted Product Develop Consultancy for members/nonmembers NGOs and SME’s, on August 26-September 21 1999 to ascertain current and potential European Market opportunities for crafts and textiles from Bangladesh. Producer's Workshop and Meeting was held on November 27, 1999 for capacity building of producers. The objective of the workshop was to build up direct interaction with grassroots producers, identify particular problem areas of the hand woven textiles sector, find out producers needs and opportunities, compile their suggestions and recommendations, and find out issues for further research in the Hand-woven textiles sector. ECOTA organized a two day Quality Assurance Workshop from December 07-08 1999, to have a more specific and longer program in coming year. The aim of the workshop was on identifying local resources to improve overall quality management amongst the partner organizations and facilitation of producers and support organizations to identify and priorities specific technical needs. ECOTA sent three members, and one partner totaling of four participants to Germany, UK and Netherlands to attend the International Trade Fair Tendence '99 and Market Awareness Tour. ECOTA arranged a workshop on Photography at BRAC-CDM, Rajendrapur on May 23'1998. ECOTA organized a workshop on Packing for Export on Nov 28-29, 1998. Significant issues were, to see the relation between product and the packing, identified strengths and weaknesses in relation to packing for export, elements of stress, knowledge on the export chain and the consequences of that towards packing, coding and packing lists. ECOTA organized and performed the below mentioned several workshops, seminars, conferences, fairs, trainings, introducing internet service etc. A two months long training program exclusively was on design education that included design process, creativity and marketing. At the end of the training, the participants displayed their personal and team storyboards and the solutions. ECOTA organized a workshop on "Dye Stuff and Paint” that was held on January 13-15, 1997. The outcome of this workshop was ‘Mennonite Center Committee’ published a handmade paper printed booklet. Taking part in Ambiente Fair '97, held in Frankfurt, German, from February 14-18, 1997. It is to be mentioned that, participating the Ambiente Fair ’97 was ECOTA's first appearance. ECOTA took part in a local craft fair from April 22-25, 1997. Majority of the member organizations of ECOTA Fair Trade Forum took part in that fair under ECOTA banner. ECOTA along with ten representatives of its member organizations attended the 4th Biennial IFAT Conference that was held on April 1997 in Ooty, India. ECOTA Facilitated and encouraged its members to attend the conference. This following year, “Fair Trade Assistance” introduced a new packing system through a workshop on “Packing for Export”. After a successful try out in Cameroon, Africa, the program was worked out in detail. ECOTA started a project called "Linking Artisan to Global Market via Internet" which was aiming to work for promotion of indigenous craft and artisan via Internet. Under this project, ECOTA enriched its webpage with graphic images of the products, producers, production process, information on raw materials etc. Training Workshop on Domestic & Global Marketing Management of Handicrafts was held on 20-22 Dec 1997. To provide practical training tips, practices and ideas on marketing management of handicrafts for the domestic and global market was the main objective of the workshop. After end of the workshop participant can demonstrate their knowledge on marketing sector of handicrafts with confidence. ECOTA organized the below mentioned several workshops, seminars, conferences, market promotional activities………….. Need Assessment Workshop was held on 23-24 May' 1995 to provide a forum for diverse stakeholder groups to jointly contribute their views on health and safety measurement that can be incorporated for their over-all well-beings. Workshop on Product Packaging and Presentation was to motivate and make aware the producer about the present status of the craft world and its demand and possibilities. Took participation in very popular and renowned local exhibition where mostly elites of Dhaka city visit the exhibition. 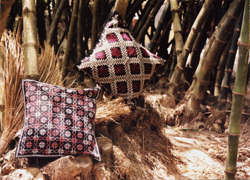 The main objective was to promote the local extinct handicrafts of Bangladesh. The exhibition was very lively and ECOTA enjoyed a good satisfactory from selling the crafts products. A workshop was held on Quality Management from 7-9th May' 1996. The aim of the workshop was to help the participants in understanding the basic concepts of Quality management, aware about the income benefit of Quality Management, techniques for successful implementation of Quality Management in their operation. This workshop brought a good impact to the participants to understand the job market. “South & South-East Asian Regional Conference” from November 23-25' 1996, held in Dhaka to give an opportunity to interact with other overseas members of IFAT (at present WFTO) for the development of handicraft items in this region. ECOTA attended the IFAT Southern Regional Workshop at Madras, India on November 1996. The main purpose of this attendance was to gain experience and share knowledge with other South Indian producer organizations. ECOTA organized workshop on Product Costing and Marketing to enhance the ideas and erudition of its members on Product costing and Marketing. The mode of the training in the workshop was participatory, explorative and analytical. ECOTA from its inception played a major role in Producer Welfare activities. In this regard, ECOTA organized a workshop on Design & Product Development. Furthermore, ECOTA also organized a workshop on ‘Jewelry and Packer’ to notify participants about the ideas and knowledge about fashion jewelry and to disseminate information about its market in UK and Europe which would help them in future. ECOTA organized a workshop on Needle Work. The aims of the workshop was to serve as a pilot programmer for similar future programs which may be launched on a more ambitious scale and also to increase awareness of Nakshi Kantha traditions and skills, celebrate indigenous Bangladeshi craftsmanship.